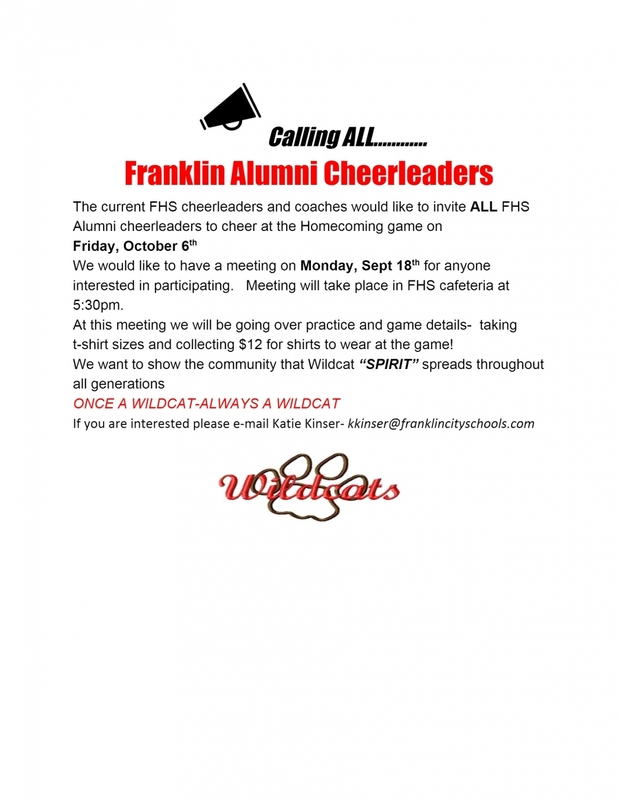 The current FHS cheerleaders and coaches would like to invite ALL FHS Alumni cheerleaders to cheer at the Homecoming game on Friday, October 6th. We would like to have a meeting on Monday, Sept 18th for anyone interested in participating. Meeting will take place in FHS cafeteria at 5:30pm. At this meeting we will be going over practice and game details- taking t-shirt sizes and collecting $12 for shirts to wear at the game!